Preheat oven to 350 degrees. Lightly coat 12 muffin tin liners with cooking spray and place in muffin tin. In a large bowl, mash bananas with a fork. Whisk in egg, milk, granulated sugar, and brown sugar. In a separate bowl, combine flour, baking soda, and salt. Add flour mixture to banana mixture and combine well. Fold in chocolate chips and walnuts. 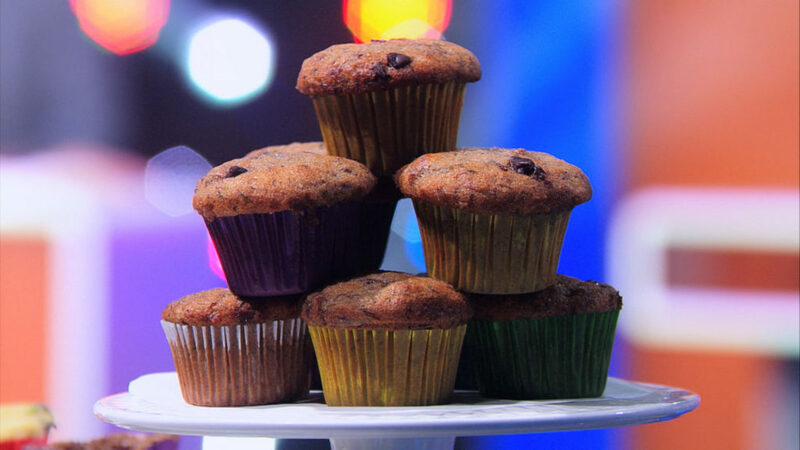 Spoon equal amounts of batter into 12 muffin cups. Bake 20 minutes or until a toothpick inserted in center comes out clean. Allow to cool slightly in pan, then remove to wire rack.